2018 has been an amazing year for the creatives all across the world. From coming up with some of the greatest campaigns to crafting meaningful storylines – this year surely got brand enthusiasts glued to their seats. Let’s take a look back at all the things that have happened so far. Lacoste’s green crocodile logo is one of the most distinctive designs in the world of fashion branding, so it was a surprise when the French fashion company decided to ditch the 85-year-old logo as part of one of its global activations. Why you might ask? For a good cause of course. Partnering with the International Union for Conservation of Nature and Paris-based agency BETC, the brand replaced the crocodile with depictions of 10 rare animals in a bid to help save some of the world’s most endangered creatures. The number of shirts available with each logo was matched with how many of the corresponding animals are left in the wild. For instance, there are only 350 Sumatran tigers, so there were only 350 polo shirts with the tiger logo available for purchase, whereas the Gulf of California Porpoise only had 30 shirts. Other endangered animals included an Anegada Rock Iguana and Javan Rhino. The collection included just 1,775 shirts in total, serving as a stark reminder of just how few of these animals are left in the world. It was unveiled at Paris Fashion Week with proceeds from each sale going toward the preservation of its species. Whether it be the context of the story behind the collection or simply the appearance of the range, it was so popular the collection completely sold out, indicating that despite removing a key brand asset from its product Lacoste remained recognizable. And to be able to do this without any brand confusion shows the real power of the green crocodile. KFC faced disaster in February when it was forced to shut hundreds of restaurants temporarily because it had run out of chicken. Beyond the obvious hit to its business, the shortage threatened to derail the brand as well and left its marketers facing a question over how to respond. Where many brands might have tried to take a serious tone in fear of annoying customers still further, KFC instead chose wit, rearranging the letters of its name to spell FCK in a print ad apologizing for the mess-up. That ad, created by Mother London, was a recognition that the apology needed to be both sincere and not too serious, a tough balance to find while also remaining on-brand. KFC UK’s CMO Meghan Farren admits it was a risk, saying she was initially “incredulous” that Mother wanted to turn the brand name into what was effectively a swear word. But the risk paid off. Mother gained praise from across the marketing industry and has been widely rewarded for its creativity. It won a number of Gold Lions at the Cannes Lions Festival of Creativity and KFC was nominated for Brand of the Year at the Marketing Week Masters awards. More importantly, the response helped turn what could have been a damaging PR disaster into a coup. YouGov BrandIndex figures show that while the company’s index score (which measures a range of metrics including quality, value, and reputation) plummeted at the height of the closures to -10.6, it has since recovered to -0.7, higher than in the weeks before the crisis. Its impression score has also rebounded, from a low of almost -15 up to 6.2, again back to pre-chicken shortage levels. While KFC system sales in the UK fell by 9% and 6% respectively in the first and second quarters, by Q3 it was back in growth with sales up 1%. Whether you are into advertising or into media buying – you know the sheer importance of the perfect slot of airing your advertisement. Pick the magic slot and you will be getting countless pairs of eyes wired to your brand’s message; and possibly the product in the long run. Super Bowl proves to be one such once-in-a-lifetime moment for the marketer. Craft a compelling ad, air it during the Super Bowl and if it works – the rest will be history. Traditionally, there is always one ad that stands out at the Super Bowl for all the right reasons and this year was no different, which is good, given advertisers reportedly shell out a whopping $5m for a 30-second slot. With a mix of humor, celebrity, and nostalgia, ‘It’s a Tide Ad’ for the P&G-owned laundry brand got tongues wagging for all the right reasons. Nike sparked controversy when it revealed an ad starring NFL quarterback Colin Kaepernick. Created by Wieden+Kennedy, it featured the American footballer alongside the strapline: ‘Believe in something. Even if it means sacrificing everything’. Kaepernick has become a divisive figure in the US. As many people have supported as criticized his decision to kneel during the national anthem to protest racial injustice. His inclusion in the 30th anniversary campaign for Nike’s ‘Just Do It’ motto has similarly split opinion. A survey of UK and US consumers conducted by Toluna for Marketing Week reflected this division. In the US, 31% of those questioned said they had heard “mostly” or “overwhelmingly” positive comments about the campaign, compared to the 45% that said they had heard negative responses. Some 33% said that it had led to them viewing the brand more favorably, 30% less favorably and 37% that it had no impact. However, on purchases, 28% said the campaign made it more likely they would buy from Nike, 26% less likely and 46% that it had no impact. However, drilling down into those results suggests Nike’s targeting has worked. Those aged between 18 and 34, who are more left-wing and who come from the BAME community are more likely to be Nike customers, support NFL players ‘taking the knee’ and think brands should take a political stance. And they are more likely to say the comments they’ve heard about the campaign are positive, that the campaign has positively impacted their opinion of Nike and that they are now more likely to buy from the brand. Separate YouGov research reached similar conclusions. A recent influencer marketing study suggests that 70% of millennial consumers are driven by the recommendations of their peers in buying decisions. Moreover, YouTube is the second most influential social media platform for influencing purchases. Understanding that influencer marketing coupled with powerful video content and a creative concept has the potential to boost brand and product awareness significantly, Amazon plugged their cutting-edge Alexa-powered voice assistant, the Echo, with a piece of video content featuring a host of world-renowned celebrities from a host of different fields, from comedy to cooking. There aren’t many brands that could chop up their logo and be sure consumers would still recognize it. Yet this is exactly what McDonald’s did in one of the cleverest bits of outdoor advertising this year. Its ‘Follow the Arches’ campaign, created alongside agency Cossette, saw McDonald’s cropping its golden ‘M’ to help create guiding arrows to direct drivers to the nearest fast-food outlet in high-traffic areas of Toronto, Canada. The campaign originally consisted of four billboards, three static and one digital, with sections of the golden ‘M’ appearing alongside slogans such as “just missed us”, “on your right” or “on your left”. Messing with a logo often seems to serve brands well, but context and tone are everything. This campaign from McDonald’s was bold yet simple. And it was so well-received, it won the Outdoor Grand Prix at this year’s Cannes Lions Festival. Lexus has premiered an ad this year entirely scripted by artificial intelligence in what it believes is a world first. The 60-second film, “Driven by intuition”, promotes next year’s launch of the ES model and aims to showcase the idea that humans and machines can work together for a better driving experience. That principle was behind the AI approach, with Lexus exploring the idea that humans could collaborate with machines to create an ad that mimics the ES model’s intuitive driving experience. Oscar- and Bafta-winning director Kevin Macdonald, who shot films including The Last King of Scotland and Whitney, was brought on board to direct the AI script. The storyline and script have been wholly created from an AI programme, built by tech company Visual Voice in collaboration with The & Partnership London, along with support from the IBM Watson suite of AI tools and applications. Production was by Carnage Films. The production process involved developing the bespoke AI and “training” it with data including 15 years of award-winning luxury ads, emotional intelligence about what connects most strongly with viewers and specially commissioned information about human intuition. No list of the top marketing campaigns in India without a mention of Brooke Bond Red Label, the tea manufacturing giant that focuses on social issues, including transgender rights and religious conflict. One of their highly applauded campaigns this year was under the Swaad Apnepan Ka and T for Togetherness campaign, ‘Forgotten’ which is about a woman who suffers from Alzheimer’s disease. The TVC, by Ogilvy and Mather Mumbai captures the loneliness that a number of elderly members of society are forced to live with, and touches all the right notes. 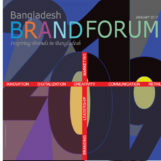 Marketers and admen in Bangladesh always put in that extra hour to create something much more special and meaningful for their brands. This year was no different. But Nestle indeed stole the show. Their campaign to commemorate Victory Day revolved around the story of a young expat coming to Bangladesh after a long time. Annoyed by the traffic jams, road conditions and such, he keeps on ranting to his friends and vows not to come to Bangladesh again. After a series of events, he ends up at a local tea store and strikes a conversation with a local boy. The local kid, with his candid remarks, tells the expat about the true values of patriotism and our everyday love for Bangladesh. It’s a very simple story, with dialogues that anybody can relate to and yet doesn’t miss the opportunity to pack the perfect punch. DANO has been a household name in Bangladesh for years. Adored by mothers and loved by kids, the brand has always been about catchy taglines and plots involving everyday household scenarios. However, DANO Captain’s television commercial indeed stood out from the rest – mostly due to its picture-perfect animation. Curated by local agencies, DANO Captain’s latest ad for 2018 revolved around perfectly designed animated characters, amazing sound effects and not-to-mention the perfect storyline to entertain kids and mothers alike. To celebrate Global Handwashing Day 2018, Unilever’s health soap Lifebuoy launched “High5 for Handwashing” this year. The aim of the campaign was to get 5 children into the habit of washing hands for every “High5”. Under Lifebuoy’s supervision, activations for collecting “High5” were held in different schools across 8 districts. To create awareness among city dwellers, Lifebuoy partnered with Tonic and set up hand wash stations in five different bus stations across Dhaka. Lifebuoy also installed a “High5 Booth” in Bashundhara City Shopping Mall. With a majority of the population residing in the rural areas and lacking personal hygiene, a campaign with such an objective indeed proved to ignite change. From creating awareness to standing for a change to a marketer’s never-ending pursuit of enhancing the value of a brand; this year indeed was special. 2018 has been quite buzzing from an economic and socio-cultural perspective and there was an ideal combination of sunny and gloomy days for all corners of the world. And the brand strategists and admen scattered all across the globe have picked these paper trails and done their job with absolute finesse. Let’s all hope 2019 has a lot more creativity and spectacular ideas for us in store!